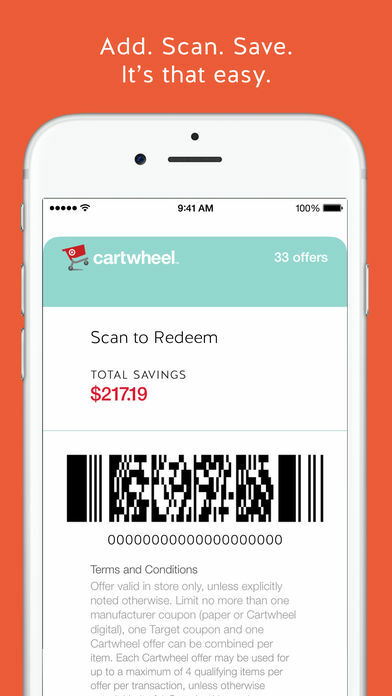 Cartwheel is now in the Target app! Make the most of your Target run with help planning your trip and saving on your list all while shopping from anywhere. 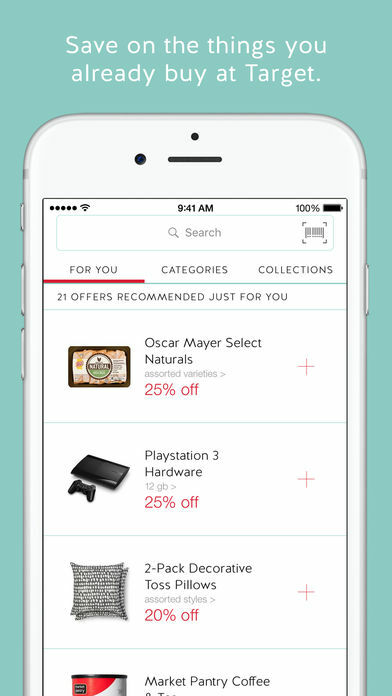 Cartwheel helps you save on the things you already buy at Target with hundreds of mobile deals. Select from hundreds of discounts ranging from 5% to 50% off, and add them to your personalized Cartwheel barcode, all from the convenience of your smartphone. Then scan your barcode at checkout on every Target run and see the savings add up! Use the discounts as many times as you like before they expire. 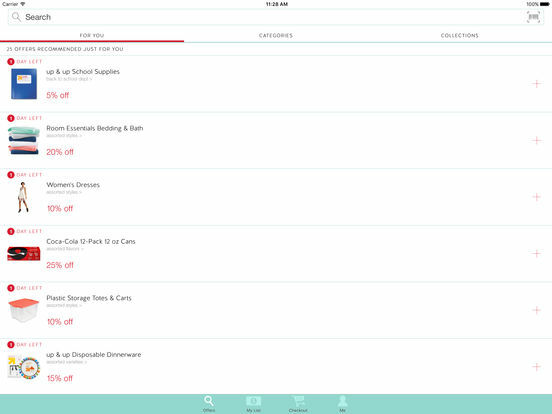 You can even stack Cartwheel on top of your Target REDcard discount and other coupons!